We help businesses leverage massive amounts of disparate data to solve their hardest problems and arrive at data-driven answers with greater speed and accuracy. We provide software and solutions to help clients to answer their most pressing business questions—providing insights that increase their ROI. We have developed Aunsight, a proprietary data science platform, that allows data scientists to easily design and customize powerful workflows to integrate disparate data sources, analyze data, and implement new algorithms via seamless plug-ins, speeding the path to actionable insights. We are comprised of data scientists, software engineers, and business experts who love data and solving high impact, data-driven business problems. 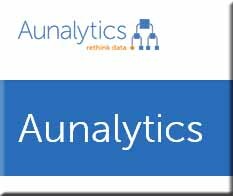 Aunalytics exists to harness the power of data and use it to fuel the economic engines of growing businesses, communities, and people. 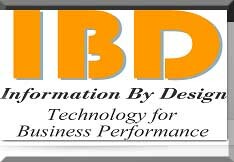 Ciber is a global information technology company with nearly 40 years of proven IT experience, world-class credentials and a wide range of technology expertise. Nearly 97 percent of our clients say they’d recommend Ciber to colleagues and use us again on future IT initiatives. Client-Focused Approach: Collaboration is the foundation of our engagement approach. We start by listening and learning about your business, its operations, systems and goals. With that knowledge we work to anticipate your needs and tailor our approach and solutions to meet them. Results-Driven Performance: At Ciber, we measure success the same way you do: by results. We deliver solutions precisely configured to produce your target outcomes and deliver tangible business value. We keep our commitments, and help you keep yours by completing work on time and on budget. As one closely aligned team, we succeed together. That’s how we transform client engagements into lasting partnerships. And why Ciber’s first client is still a client. Expertise and Capabilities: With a team of professionals 7,000 people strong, Ciber has the business acumen, technical expertise and consulting experience to support your business and supplement its IT resources. The average Ciber consultant has worked in the industry for 15 years, developing strong technical capabilities and meaningful industry knowledge. Ciber offers application development and management, IT strategy, business intelligence, quality assurance and testing and has deep partnerships with the biggest names in business technology from ERP and CRM solutions to cloud computing and mobility. With our robust global delivery model, Ciber can access the right talent at the right time to help you get the most out of your technology investment. The challenges of competing in today's dynamic global market, the need for accurate factual information to respond to changing marketing conditions, decision-making, and a rapid response to maintain competitive position drives most businesses. Given the number of factors that a business has to consider many organizations spend little time planning and considering different alternatives to their decision-making. Thought planning one develops the skills, knowledge, and resources to enable the flawless execution which provides your organization with the capabilities it needs to succeed. Since 1996, Pinnacle has delivered business technology solutions that take businesses to their next level. By providing tools that give you a powerful advantage over your competition, Pinnacle positions you for long-term success. Drawing from a wide array of technological capabilities including: IT Infrastructure and Managed IT Services, Custom Development, ERP and CRM, and Business and Technology Training; Pinnacle makes your organization more agile, more intelligent, and more productive.